Mark your calendars for 10/10! Our cider tasting event is coming up in just one month! 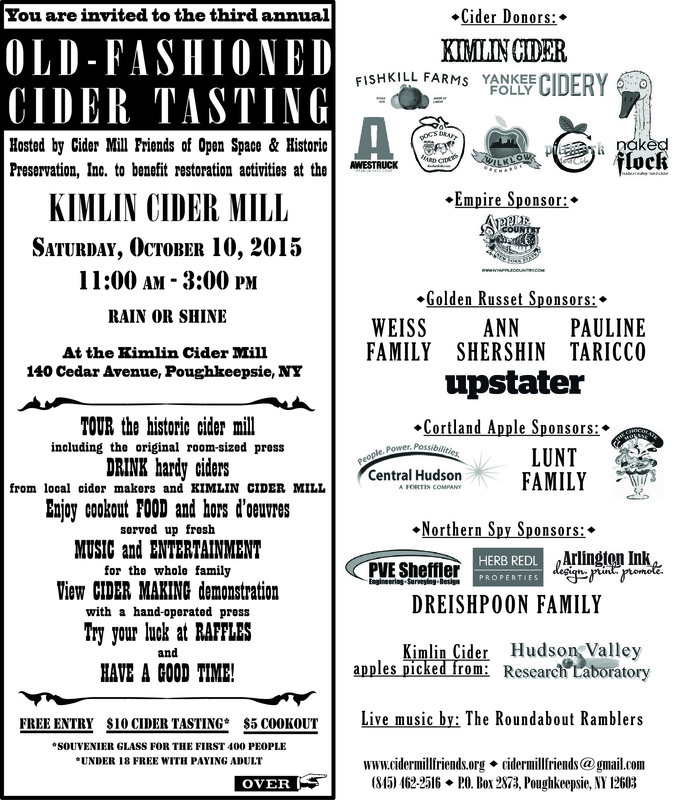 Mark your calendars for this great event including our special-made Kimlin Cider, numerous local ciders, Mill tours, cook-out, music, and entertainment! If you are interested in volunteering during the event – as a cider pourer or other tasks – please let us know! Volunteers get in completely free. This entry was posted in Uncategorized on September 6, 2015 by cidermillfriends.